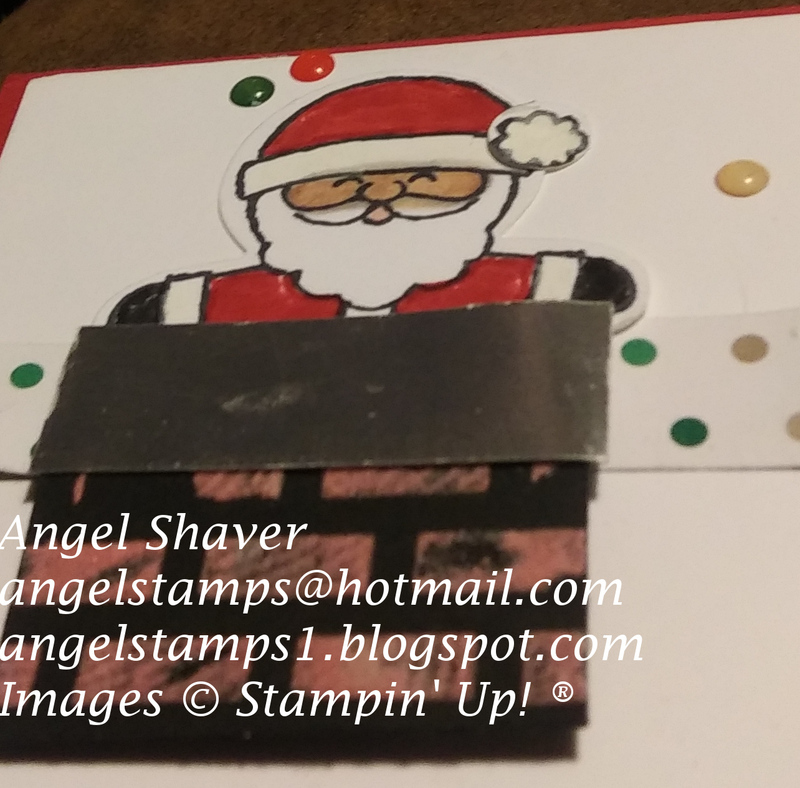 I had so much fun creating this chimey for Santa Clause and finding coordinating elements to make this card . It had been awhile since I have colored embossing paste with reinker, but I thought that would help make the perfect shade of bricks for the chimney. The DSP had the perfect color dots to match the enamel dots from the Santa's Workshop Enamel Elements. 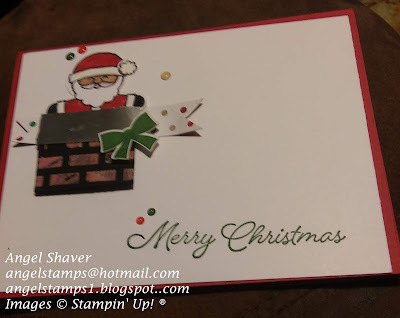 It's amazing that you can color in the white dots with the Stampin' Blends to create coordinating dots. Make sure you head over to PCC314 to see the inspiration cards by the design team and other creative entries. Online Extravaganza is coming . . .November 23-28. Watch this blog and/or my facebook page for more details. Also, don't forget that the Snowflake Showcase is only available until November 30. Don't miss out on these exclusive products. 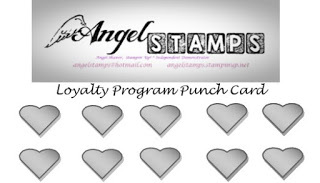 I have a loyalty program to thank you, my loyal customers. See details here. Use this code if your order is under $150.00 and I will send you a host gift with your thank you card from me. If your order is over $150.00 DON'T USE THIS CODE so you can choose your own host rewards. Those bricks really are the perfect color! Nicely done. This card is adorable. Thank you for joining the Paper Craft Crew this week. Thank you. I love how you can color embossing paste whatever color you need for your project. My gosh - this peek-a-boo Santa is too cute! Great card for the sketch. 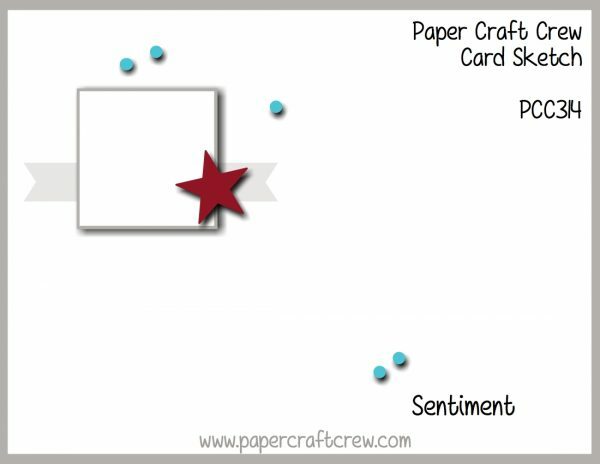 Thanks for playing along with our Paper Craft Crew challenge! Thanks. I love these characters so much They are so adorable. I am a wife, mother of 2 amazing kiddos, piano teacher, and now a Stampin' Up Independent Demonstrator. I have been a paper crafter/scrabooker since my first child was born almost 15 years ago. When I had a car accident 12 years ago, I thought the nerve damage to my right side meant my paper crafting days were over. I was so excited to discover that with Stampin' Up products and tools, that is not the case. I'm thrilled to be card making and papercrafting on a regular basis. I would love to help you figure out how to make this part of your life on a regular basis as well. 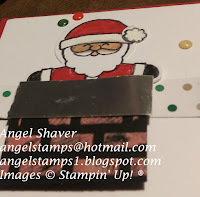 My Favorite Part of Sharing Stampin' Up!